Racine’s Lock & Key offers a full range of automotive locksmith services. Call us at (262) 509-0366 for highly reliable, timely and affordable car locksmith services for lost, misplaced or broken car keys. Nothing can be more frustrating than to find yourself locked out of your car. Whether you have lost your car keys, locked your keys inside the car or struggling with a broken key – it can be a very annoying situation to be in. Calling the dealer for help can be very time consuming process, not to mention that it can be expensive too if the key in question is a transponder chip key. Our automotive locksmith services in Racine are available 24 hours and you can call us anytime of the day. We will immediately send one of our proficient technicians, who are complete experts in offering a range of automotive locksmith solutions for all your needs – car key replacement, lock rekeying, car keys repair, transponder keys programming and broken keys extraction. Our mobile workshops are equipped with the right equipment including advanced diagnostic software, programming tools and latest machines that can cut any type of car keys in no time. Our timely and on the spot services for any car key problem will help you get back on track as fast as possible. 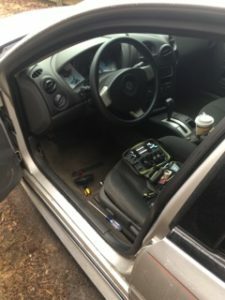 Especially if you have lost your only set of car keys, our car technicians will not only make you a new set but also delete the one you have lost from your car’s computer system – to prevent anyone from using those keys to start your car. Our car locksmiths can easily remove broken keys from the door or ignition lock without causing any damage to any part. We can also help with ignition repair and replacement services at very affordable rates.